Many years ago I began building a digital toolkit of resources for using technology as a tool for differentiated learning. At that time I was lucky to discover ThingLink as well. My toolkit quickly grew into a powerful model that has remained current and useful over time. 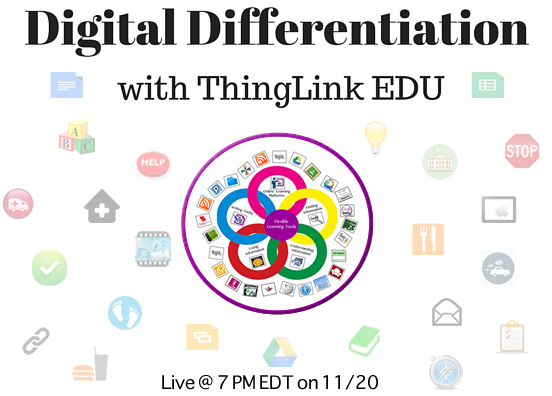 Join us for a free webinar on Monday, November 30th to explore Digital Differentiation with ThingLink EDU. Learn how to use toolkit of strategies and resources to facilitate personalized learning experiences while addressing the diverse needs of all students in your classroom. At the most basic level, digital tools can be used to help students find, understand, and use information. When combined with student-driven learning experiences that are fueled by essential questions and offer flexible learning paths, use of digital tools can break the learning barriers that exist in our classrooms. Attend this webinar for a ThingLink powered overview of digital tools and resources to design personalized learning experiences that effectively incorporate digital differentiation. Please join us at live at 7:00 PM EDT or sign up to receive the archived version in your in box. I had an amazing time working with educators today during my iLab session at the EdTech Teacher iPad Summit! To follow up, I’m posting the interactive poster used during the session, followed by the interactive slideshow. 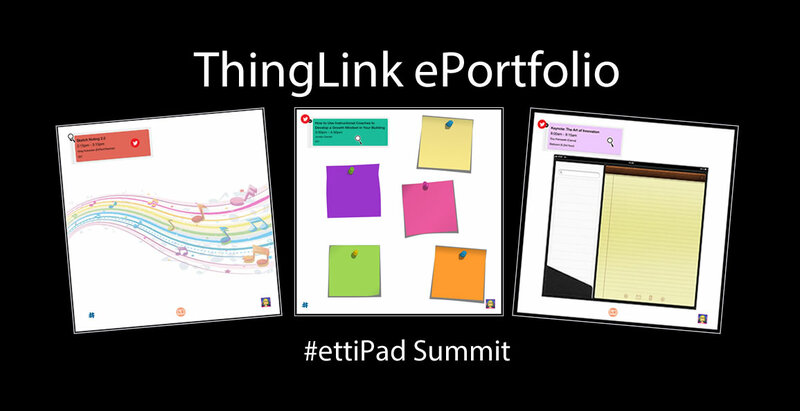 For those interested in a bit of background knowledge, please see a post published on this blog in August of this year, Back to School with ThingLink ePortfolios. To access all session resources, simply use the arrows to scroll through this ThingLink Channel and tap and the icons you see. As I prepare for the EdTech Teacher iPad Summit in Boston next week I’ve found an incredible opportunity to practice what I will be teaching. 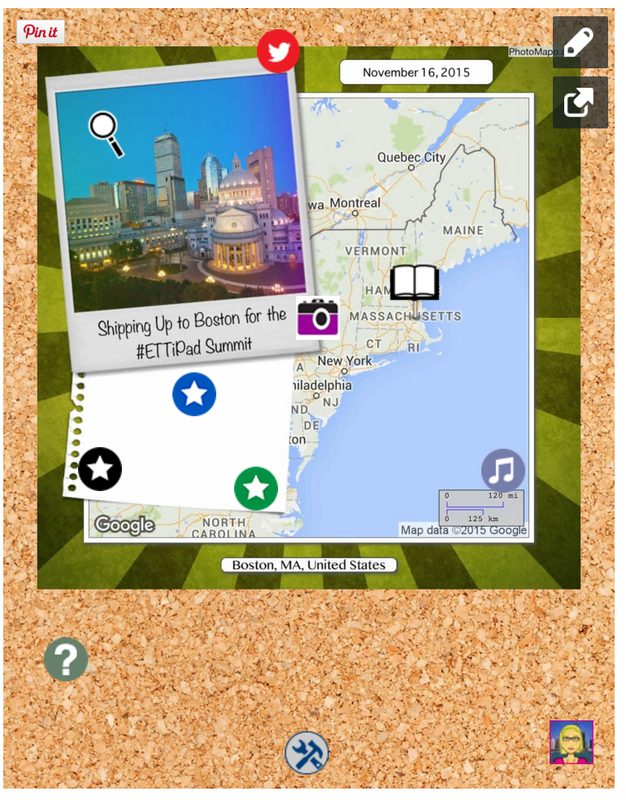 I’ve started a ThingLink ePortfolio to document my own learning throughout the conference. I plan to capture the learning through images, photos and tags to prepare to use and share it. This sounds like a lot of fun and I suspect my own session will include some very practical tips and tricks learned along the way since I will be attending 9 sessions and participating in the Creation Station all before my session on Wednesday. Explore this iteractive image and watch it grow! 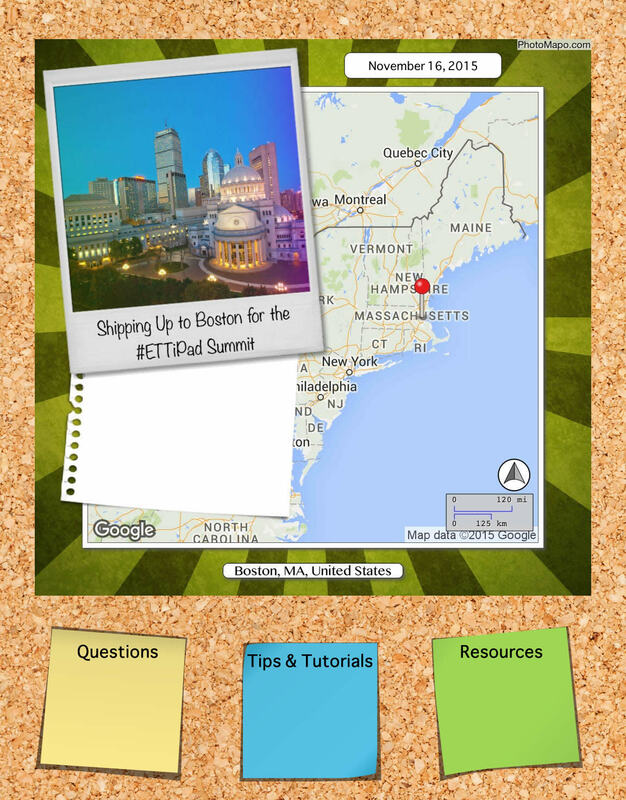 I’m preparing to head to Boston for the EdTech Teacher iPad Summit. I will be sharing the idea of using ThingLink as a seemless portfolio tool to encourage students to become stakeholders in their own learning. Mobile devices allow students to capture artifacts that represent learning. 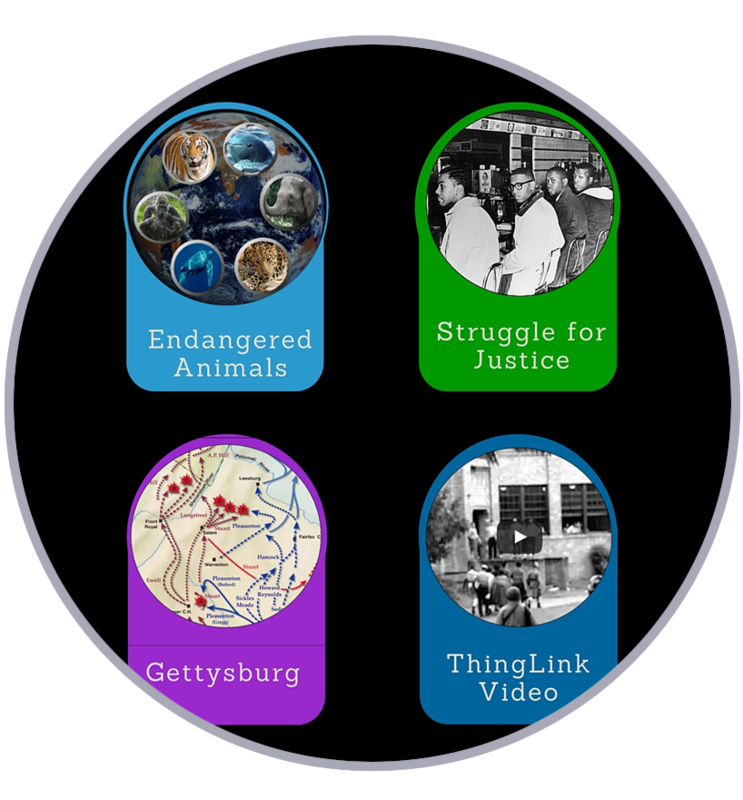 ThingLink rich media tags provide students with an easy way to document self-reflection and set goals. The idea of using digital papr for a portfolio is appealing because it is changeable, erasable and expandable to support and document learning. AppSmash with ThingLink, Explain Everything and Padlet Live on Tuesday, November 3rd 8:00 PM EST or On Demand. 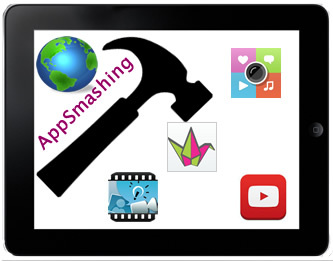 App Smashing is a popular method of combining two or more apps together to create, publish and share content. App Smashing challenges us to discover new possibilities for teaching and learning with an iPad and presents us with greater possibilities for making the device meet our goals. 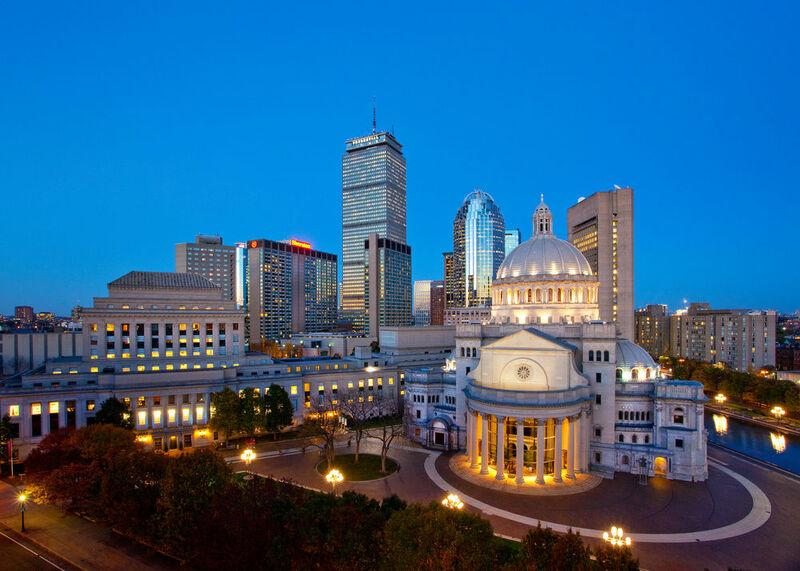 ThingLink is well suited for powering any App Smash because of the presentation possibilities for turning any image into a rich multimedia content launcher. Join us as we demonstrate the powerful possibilities that exist for creating, publishing and presenting by AppSmashing ThingLink, Padlet and Explain Everything. Sign up to view the live session or receive the archived version in your inbox. If you are a teaching team, school or district, perhaps a personalized session with plenty of opportunities for Q & A would be more helpful. Please schedule a session via calendly or send me an email.